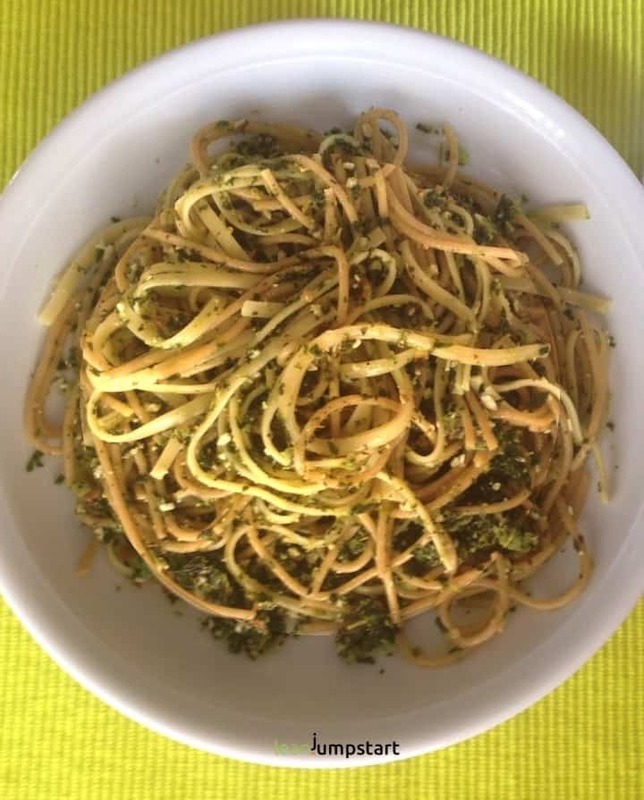 I know that I’m a little late with my kale pesto recipe as spring is already in full swing. Nevertheless I don’t want to withhold you from this quick and in my opinion best kale recipe for busy and health-conscious people. You know probably that kale is a real “superfood”. In short, it is particularly rich in vitamins, trace elements, secondary plant compounds and antioxidants. Besides a great, very distinctive taste, the good thing about my kale pesto pasta is that you process the kale uncooked. 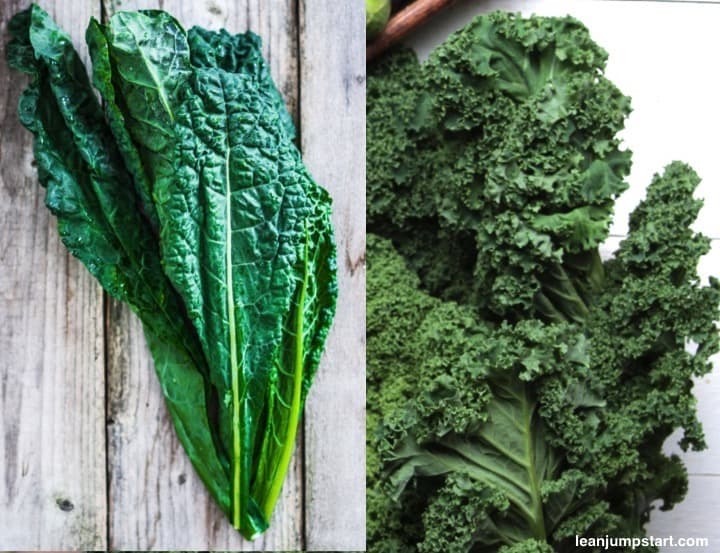 This means that the heat-sensitive vitamin C and folic acid, both of which are abundant in kale, are not boiled to death. And due to the healthy fat in pine nuts, almonds and olive oil, the fat-soluble vitamins A and K are optimally absorbed by the body. That’ s the perfect way to prepare my green darling! Before you start it is important that you clean fresh cabbage leaves thoroughly – because all sorts of sand are hidden between the bulges of the leaves. Then you just mix all ingredients in a food processor. That’s it! If you have cooked whole grain pasta at hand this clean eating dish can be whipped up in 5 minutes! Pulse until it reaches desired consistency. Simply fold into cooked wholemeal noodles or spaghetti. It’s also a great plant based sandwich spread. This nutrient-dense green leafy vegetable itself comes from the Mediterranean and was brought to us by the Romans. Sometimes the leaves are curly (curly kale), and sometimes smooth, called “lacianto kale” or “dinosaur kale”. Dino kale has a less bitter and more delicate taste than the curly kind with an almost nutty sweetness. Sadly in my region the less delicate curly kale prevails. 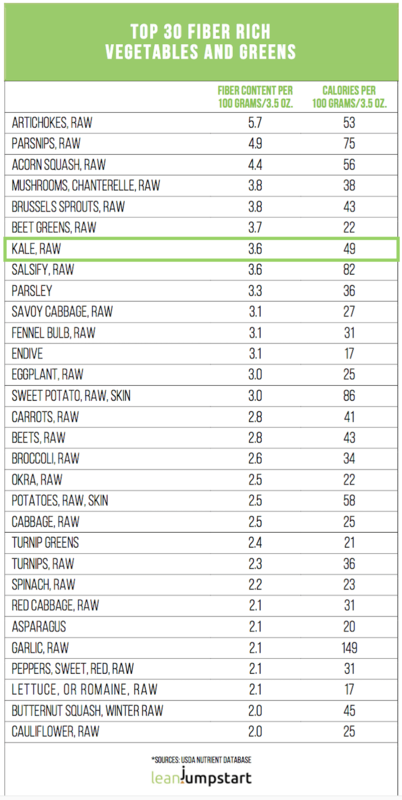 So if you have the chance to get smooth kale, grab it! Sometimes you’ll even spot purple kale. There are supposed to be 80 different varieties worldwide, which also differ in color and other characteristics. Scientists were looking for the tastiest, least bitter and healthiest type of kale. It turned out, almost incidentally, that some kale species contain a very high proportion of cancer-preventing components. In some cases, the values were ten times higher than those of the highly praised broccoli another member of the highly potent cruciferous family. Kale naturally contains glucosinolates to defend against hungry insects. This substance, which is so dangerous for caterpillars, benefits humans because of its cancer-prevention properties. In order to exploit this beneficial property optimally, kale should ideally be eaten raw as a salad or like we do it with the pesto pasta. 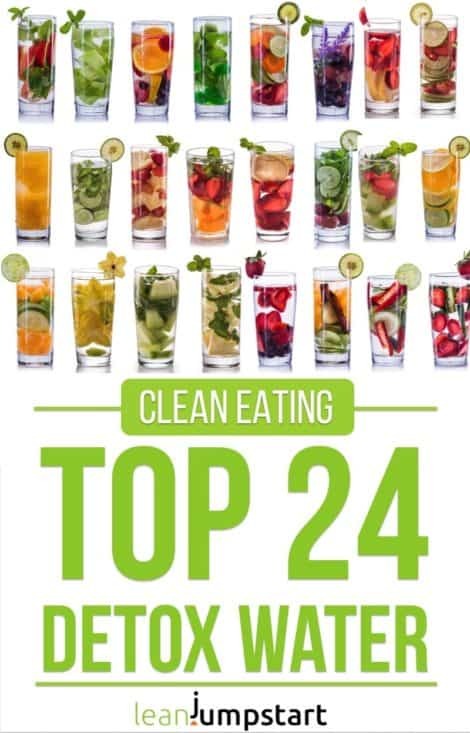 On top of that is kale also a high fiber food, beating broccoli again with a fiber content of 3.6 grams per 100 grams of kale versus 2.6 grams/100 grams for broccoli. 1) For a crunchier consistency: Do not puree the pine nuts completely until the end, but add them in chopped pieces, resulting in a nice crunchy consistency. 3) If you want to make the pesto less spicy but milder and more universal, leave out the garlic cloves. Simply use a little more chili to season the pesto. 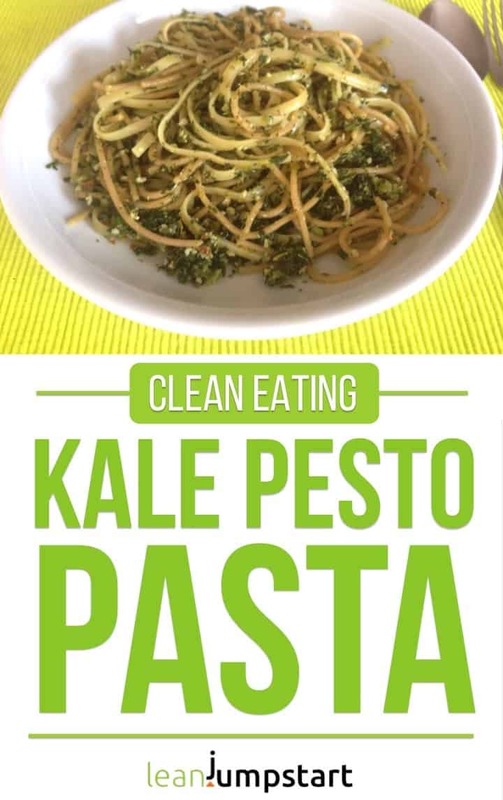 This vegan kale pesto recipe was my first kale dish on leanjumpstart. You may expect in the future more easy kale recipes to come. I’ve always wanted to share with you my recipes for homemade kale chips or raw kale salad. So stay tuned!